Dozens of Northampton folk flocked to a Northampton Christmas fair over the weekend where Father Christmas paid an early visit to residents...in a Jaguar XJ. Santa was reunited with his elves at St. Christopher's Care Home Christmas fair in Abington Park Crescent on Saturday (November 24) where staff, residents and volunteers competed in the first ever 'Great Christmas Bake Off'. 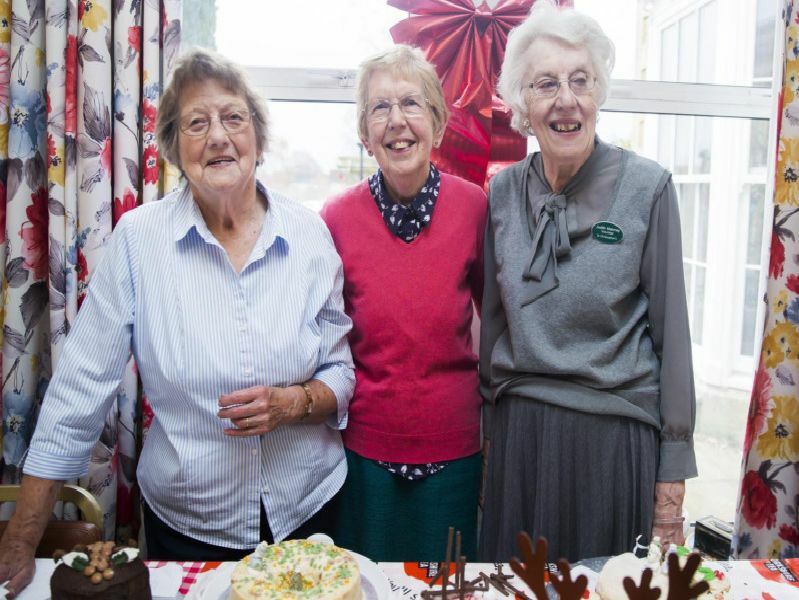 The fair featured all homemade and handmade items from the residents, staff, management and volunteers including chutneys, jams, Christmas gifts, cards and decorations, a bottle tombola, guess the weight of the cake and lucky dip jars. Raffle prizes, included donations from Aston Martin, the Red Bull Formula One team, Aston Martin Lagonda, National Hunt Trainer Caroline Bailey and the casts of Coronation Street and Emmerdale. The fundraising total will be revealed this week. Pictured L-R: Pam Andrews, Dorothy Bonsall and Judy Maloney. 'The Christmas themes on the cakes went from the contemporary to traditional snowy Christmas scenes, a reindeer complete with antlers, a Christmas parcel with bright red bow, a Christmas pudding and a snowman's head all of which helped the cake stall to raise over 200 on it's own.